To start, let’s have a look at defenceman Connor Hobbs. The now 22-year-old spent three seasons in Regina, playing in 158 games, scoring 51 goals and 142 points. Hobbs was acquired in a trade with the Medicine Hat Tigers in January of 2015. In his last season with the club, the Saskatoon product set a franchise record for goals by a defenceman in a season with 31. 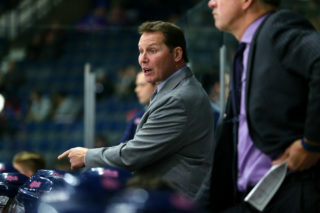 He put up 85 points that season and was named the co-winner of the Pats Charles Johnston Defenceman of the Year Award. 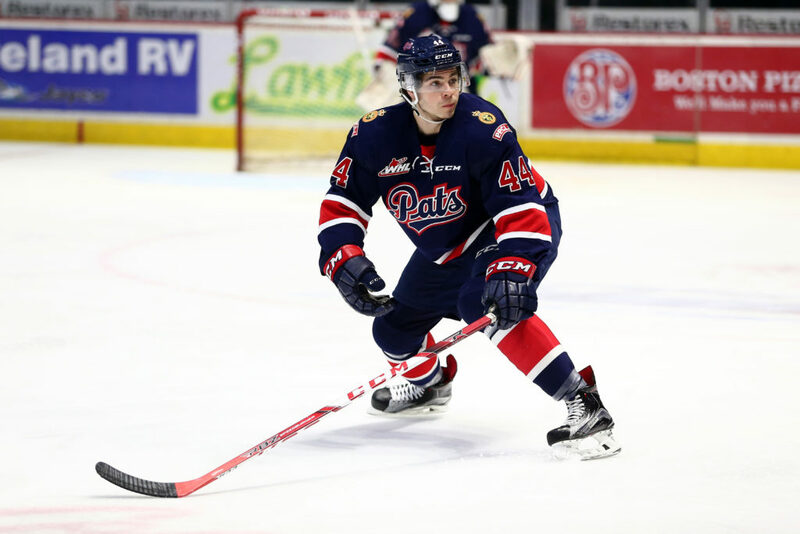 Hobbs was also named a First Team WHL All-Star in the Eastern Conference in 2016-17 and was the Eastern Conference Defenceman of the Year. 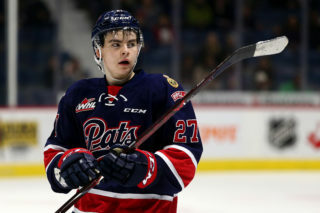 Hobbs was a big part of the Pats run to the WHL Championship series in 2017, picking up 24 points in 23 playoff games en route to winning an Eastern Conference Championship. 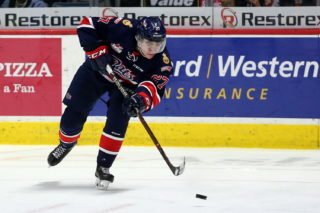 Hobbs was selected in the fifth round of the 2015 NHL Entry Draft by the Washington Capitals. 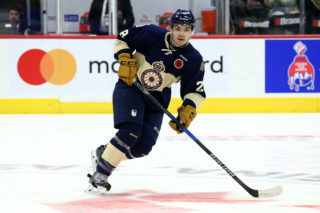 Hobbs is currently playing in his second professional season in the American Hockey League with the Hershey Bears, the main affiliate of the Capitals. He put up three goals and 16 points in his rookie season and has surpassed that in 2018-19 with three goals and 18 points in 56 games. The Bears have three games left in the regular season this weekend and then it’s on the playoffs. The Bears missed the post-season in Hobbs rookie campaign, but are back into the playoffs here in 2019. Hobbs’ Entry Level Contract with the Washington Capitals will run until the end of the 2019-20 season.